The strategy pattern has found its place in JDK, and you know what I mean if you have sorted ArrayList in Java. Yes, combination of Comparator, Comparable, and Collections.sort() method are one of the best real world example of Strategy design pattern. To understand it more, let's first find out what is Strategy pattern? The first clue is the name itself. The strategy pattern defines a family of related algorithms e.g. sorting algorithms like bubble sort, quicksort, insertion sort and merge sort, or compression algorithm e.g. zip, gzip, tar, jar, encryption algorithm e.g. MD 5, AES etc and lets the algorithm vary independently from clients that use it. For example, you can use Strategy pattern to implement a method which sort numbers and allows the client to choose any sorting algorithm at runtime, without modifying client's code. So essentially Strategy pattern provides flexibility, extensible and choice. You should consider using this pattern when you need to select an algorithm at runtime. In Java, a strategy is usually implemented by creating a hierarchy of classes that extend from a base interface known as Strategy. In this tutorial, we will learn some interesting things about Strategy pattern by writing a Java program and demonstrating how it add value to your code. See Head First design pattern for more details on this and other GOF patterns. This book is also updated to Java SE 8 on its 10th anniversary. While learning a new pattern, most important thing to understand is intent, motivation. Why? because two design pattern can have the same structure but their intent could be totally different. Even, one of a good example of this theory is State and Strategy pattern. If you look at UML diagram of these two patterns they look identical but the intent of State pattern is to facilitate state transition while the intent of Strategy pattern is to change the behavior of a class by changing internal algorithm at runtime without modifying the class itself. That's why Strategy pattern is part of behavioral patterns in GOF's original list. You can correlate Strategy pattern with how people use a different strategy to deal with a different situation, for example if you are confronted with a situation then you will either deal with it or run away two different strategies. 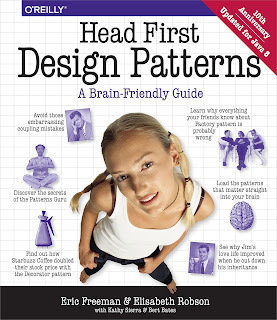 If you have not read already then you should also read the Head First Design pattern, one of the best books to learn practical use of design pattern in Java application. Most of my knowledge of GOF design patterns are attributed to this book. It's been 10 years since the book was first released, thankfully it is now updated to cover Java SE 8 as well. This pattern has two main component, Strategy interface, and Context class. Strategy interface declares the type of algorithm, it can be abstract class or interface. For example, you can define a Strategy interface with method move(), now this move becomes strategy and different pieces in a game of chess can implement this method to define their moving strategy. For example, Rook will move only horizontal or vertical, Bishop will move diagonally, Pawn will move one cell at a time and Queen can move horizontal, vertical and diagonally. The different strategy employed by different pieces for movement are an implementation of Strategy interface and the code which moves pieces is our Context class. When we change piece, we don't need to change Context class. If a new piece is added, then also your code which takes care of moving pieces will not require to be modified. Every algorithm or pattern has some advantage and disadvantage and this pattern are also no different. The main benefit of using Strategy pattern is flexibility. The client can choose any algorithm at run time, you can easily add new Strategy without modifying classes which use strategies e.g. Context. This becomes possible because Strategy pattern is based upon Open Closed design principle, which says that new behavior is added by writing new code not by modifying tried and tested old code. If you use Strategy pattern, you will be adding a new Strategy by writing a new class which just need to implement Strategy interface. Because of open closed principle violation, we cannot use Enum to implement Strategy pattern. Though it has some advantage and suits well if you know major algorithm well in advance but you need to modify your Enum class to add new algorithms which is violation of open closed principle. To learn more see here. JDK has couple of examples of this pattern, first is Collection.sort(List, Comparator) method, where Comparator is Strategy and Collections.sort() is Context. Because of this pattern your sort method can sort any object, the object which doesn't exists when this method was written. As long as, Object will implement Comparator interface (Strategy interface), Collections.sort() method will sort it. Another example is java.util.Arrays#sort(T, Comparator < ? super T > c) method which similar to Collections.sort() method, except need array in place of List. You can also see classic Head First Design pattern book for more real world examples of Strategy and other GOF patterns. Here is simple Java program which implements Strategy design pattern. You can use this sample code to learn and experiment with this pattern. The example is very simple, all it does is define a strategy interface for sorting algorithms and use that interface on a method called arrange. This method can arrange object in increasing or decreasing order, depending upon how you implement. In order to arrange object, you need sorting and this is provided by Strategy pattern. This allows you to choose any algorithm to sort your object. * Java Program to implement Strategy design pattern in Java. * which is actually a Strategy to compare objects in Java. 1) This pattern defines a set of related algorithm and encapsulate them in separated classes, and allows client to choose any algorithm at run time. 2) It allows to add new algorithm without modifying existing algorithms or context class, which uses algorithm or strategies. 3) Strategy is a behavioral pattern in GOF list. 4) Strategy pattern is based upon Open Closed design principle of SOLID Principles of Object Oriented Design. 5) Collections.sort() and Comparator interface is real world example of Strategy pattern. That's all about how to implement Strategy pattern in Java. For your practice write a Java program to implement encoding and allow client to choose between different encoding algorithm e.g. base 64. This pattern is also very useful when you have situation where you need to behave differently depending upon type e.g. writing a method to process trades, if trades is of type NEW, it will be processed differently, if it is CANCEL then it will be processed differently and if its AMEND then also it will be handled differently, but remember each time we need to process trade. Strategy is my favorite pattern and we keep finding it usages everywhere. Couple of days back, I have to code discount rates based upon COUPON type, and guess what? I used Strategy pattern. It make it very easy to introduce a new coupon type with a differnet discounted rate without modifying billing engine code. Can you please explain some drawbacks of Strategy pattern? This was asked to me on recent interview and I only manage to tell that it require lot of classes .... Interviewer not very impressed. "Because of open closed principle violation, we cannot use Enum to implement Strategy pattern. Though it has some advantage and suits well if you know major algorithm well in advance but you need to modify your Enum class to add new algorithms which is violation of open closed principle." Why would it be a problem to add an entry into an Enum as we have to rebuild the whole module/project to add the new implementation of the Strategy interface, and very often also add some user description of the new algorithm (so that a user can choose this strategy instead of another) ? There is slight wrong implementation. In diagram, you showed context implements Strategy interface, while in the coding you have used a different method 'arrange'. Hello Anonymous, context doesn't implement Strategy, it actually holds a reference to Strategy interface to perform the task.